Wanting to add more fun (and less expense) to your Hanukkah celebration? Here are 30 games and activities that will help you focus on the miracle, the light and the sense of renewal that families everywhere want to observe during their eight nights of celebration. "A Great Miracle Happened There" Album or Collage - Each side of the dreidel is an acronym for this phrase and you can celebrate miracles big and small with a photo collage that you frame or put in a special Hanukkah celebration album to share with family. Hanukkah Reader's Theater - Grab some Hanukkah-themed books (mix it up with some from the library or loaned from friends), assign parts or pages and read a book together in reader's theater style. Menorah One Act - Have children make headpieces from construction paper (blue for the band, yellow for the flame) and entertain the family with the story of the Hanukkah menorah. Motto of the Maccabee - The word Maccabee is an acronym for the Torah verse that was the Maccabee battle cry. Make a family "battle cry" or motto and put them on banners to celebrate the holiday. Upcycled Gift Holders - Encourage the giving of small gifts by having each member of the family create a Hanukkah gift holder, whether that be eight socks, eight hats, eight recycled coffee cans, etc. Matzah Temple - A fun twist on the gingerbread house, create a Jerusalem Temple out of Matzah and icing with gold and silver wrapped candy to decorate (don't forget to include a candy flame burning bright!). Mazel tov! Handprint Menorah - Great for younger children, make a print with blue paint on the palm, white on the fingers (for preschoolers, just do all blue), with a yellow thumbprint "flame" at the top. (Combine the thumbs into one flame for nine flames) Give to a special family member or display. Plan a Hanukkah dinner with an online sign up! SAMPLE. Edible Dreidels - Make your own edible dreidels from a pretzel stick, marshmallow, and Hershey kiss as the spinner (attach with a small dollop of frosting). Yum! Found Materials Craft - Find sticks, old pencils, pipe cleaners, craft sticks — whatever is around the house — and fashion a Star of David from each to hang or display on the mantel. Latke Platter - Need to get out over the holiday break? Find a local paint-your-own-pottery store and create a large platter with your family name, and decorate it together as a keepsake (plus serving wear) for years to come. Dreidel Instagram Garland - Print out favorite photos from your account from the past year and attach them to dreidels cut from colorful paper that serves as frames. Hang the garland of dreidels on the bannister or mantel for the family to enjoy. Festival of Lights Luminaries - These can be made from white paper bags decorated by the family or tin cans with holes poked in the shape of a Star of David and put outside for guests to enjoy as the arrive. Photo Menorah - Create a menorah-shaped photo gallery on your wall with painter's tape and nine vertical 4x6 pictures as the candle holders (add nine slender paper candles with flames on top), and build your menorah down to the floor with more pictures of family. Great for practicing names of far-away family members! Your Own Shamesh Candle - Just like the menorah has eight candles and a ninth "worker candle" (Shamesh), get a special yellow hat (representing the flame) and each night of Hanukkah the person who wears the hat is the special helper, assisting with the meal and picking a special activity. Hanukkah Coasters - Create gifts for family members or useful coasters for your holiday table with white tiles from the home improvement store, dreidel or Star of David cutouts or tissue and crafting glue to seal your work. Countdown to Board Games - Create a countdown calendar with eight pockets and put the name of a board game you already own in each, taking turns to draw a new game each evening to enjoy as a family. Blessing Scramble - Cut the Hanukkah blessings up into different phrases or words and have family members try to find the different parts and put the blessing back together when it is time to be read. Maccabees Hide and Seek - Create "caves" in several rooms with sheets for your Maccabee soldiers to hide in and play a game of hide and seek during the holiday season. Hanukkah Story Circle - A gift is passed around as the story of Hanukkah is read, but the catch is that special words change the direction it is being passed (like Maccabee, temple or oil). Highlight the words ahead of time so you know when it should switch directions. Dreidel Scattergories - Spin the dreidel and whichever side it lands on (N,G,H,S), players have two minutes to think up words that fit in a certain category like fruit, vegetables, movie star or animal name) and start with that letter. Longest (or most creative!) list wins. Two Truths and a Fib - Test your family's memory skills by having them write out two true facts about the historical story behind Hanukkah and one made-up "fact." Try to make the made-up clue sound realistic to really confuse other players! Now You See it Candle Game - After your menorah has been lit, go in another room and make a stack of holiday-related items. Turn lights out, light a candle and invite family members to observe your items. Blow out candle, remove an item, then relight the candle. Prizes are given out to those who can see what is missing. Soldier Relay - Make two piles of whatever Maccabee "soldier" clothes you might have around the house (big shirt, helmet, pillow for a shield, a pool noodle for the sword). Teams take turns racing to the pile, getting completely dressed and raising their sword to say the Macabee battle cry, then peeling down and racing back. 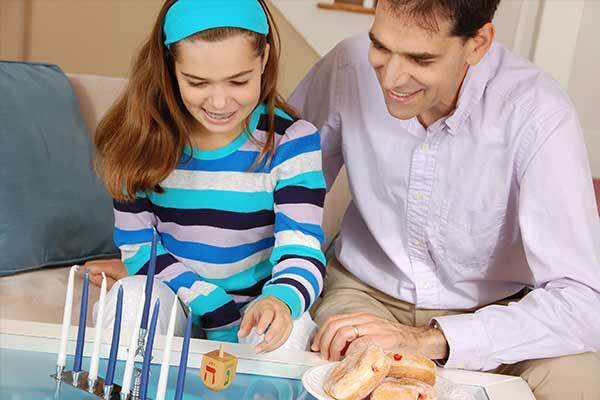 Hanukkah Scavenger Hunt - Give family members clues as to where you have hidden symbols of the holiday: chocolate gelt, a plate of latke, a dreidel, your Hanukkah menorah, a new book to share, etc. Up the adventure by doing it at night with only a flashlight to light the way! 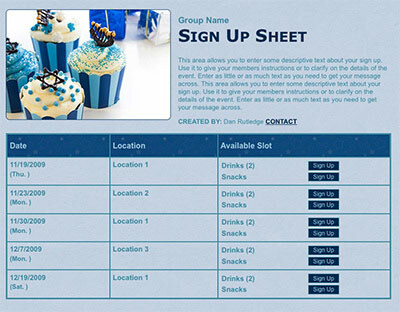 Collect supplies for a Hanukkah craft with an online sign up! SAMPLE. Dreidel Crossword – Search for a printable crossword online. Complete it as a family or make it a competition by printing multiple copies and seeing who can complete it the quickest. Musical Chairs - Feature music from "Chanukah at Home" (you can by this as an MP3 online). Top Hat Art - This is a variation of a game where each participant puts a paper plate on top of his head and uses a washable marker to draw an object like a Hanukkah menorah, a Star of David or dreidel (or all three), then takes the plate off to see whose is the most accurate (and hilarious). "Rededicate the Temple" Jigsaw Puzzle - Take a picture of your local synagogue and have it made into a large puzzle (or do it yourself). Have fun putting this together as you talk about the rededication of the temple. Other Dreidel Games - After playing the traditional dreidel game, change it up by giving each side a number value, and race to see who can get a certain total number first by adding each spin. Celebration of Lights Ring Toss - Wait until after dark and set nine glow sticks on their end in a plastic bottle. Use glowing bracelets to try and loop them around the glow stick. Hanukkah is a wonderful time to remember the light and hope that family and traditions bring to our lives. In addition to activities like lighting the menorah and making yummy potato latkes, this list can help you find new ways to enhance your Hanukkah celebration this year. 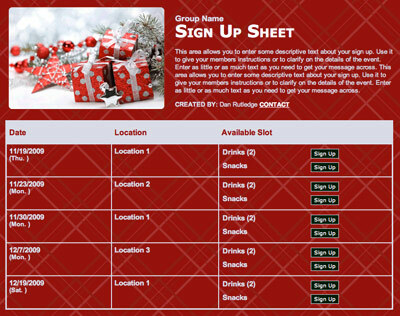 Organize children's choir volunteers with a sign up.